Lyanna Mormont: “Your Grace.” But you’re not. Are you? 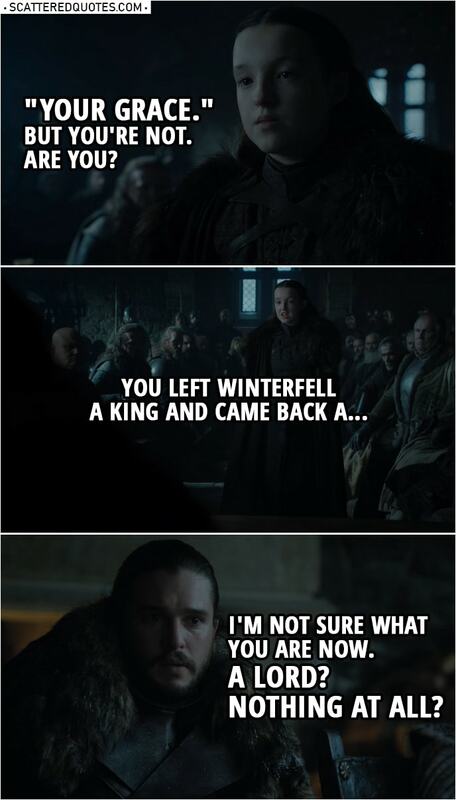 You left Winterfell a king and came back a… I’m not sure what you are now. A lord? Nothing at all? Jon Snow: It’s not important. Lyanna Mormont: Not important? We named you King in the North. 15.4.2019 We named you King in the North.